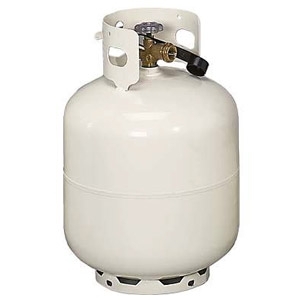 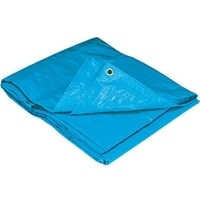 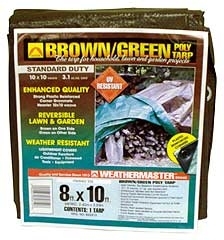 High density, rip resistant polyethylene material with 10x10 weave, waterproof, mildew and rot resistant. 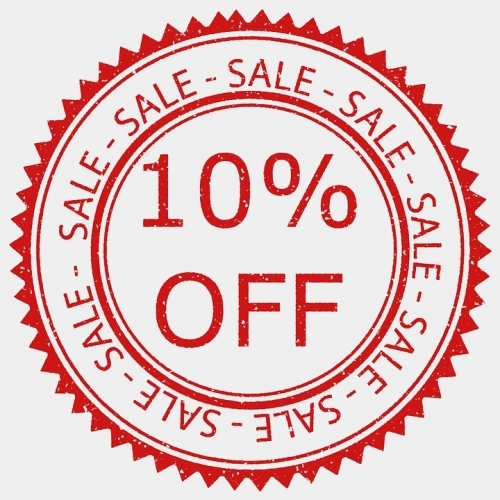 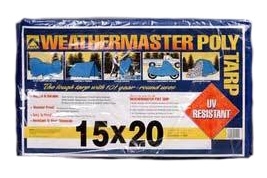 Has been treated for sun and fade resistance with an Ultra Violet Inhibitor. 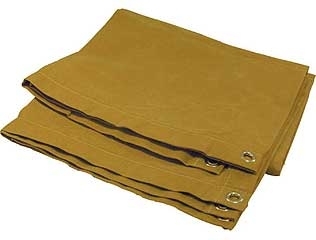 Rust resistant grommets spaced 2 feet apart. 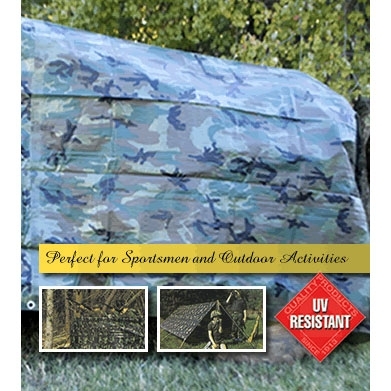 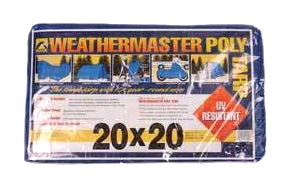 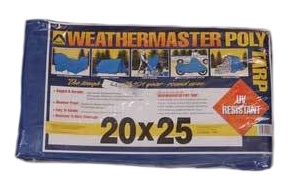 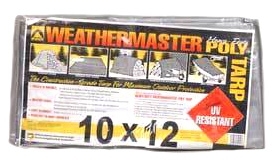 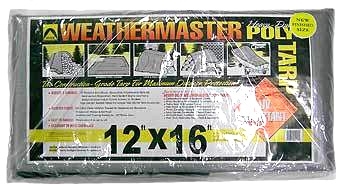 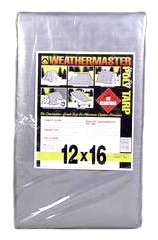 20x40ft heavy duty silver/black poly tarp is designed for rugged use and continuous outdoor exposure. 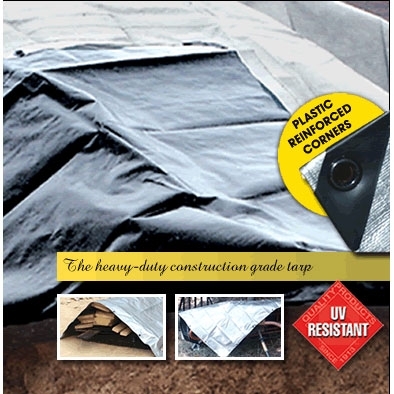 Both the Black and Silver sides are UV treated for extended use in sunlight and are heat and cold resistant. 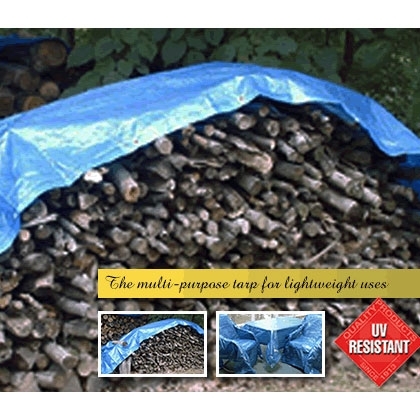 The Black side of the tarp will absorb heat and divert ultraviolet rays. 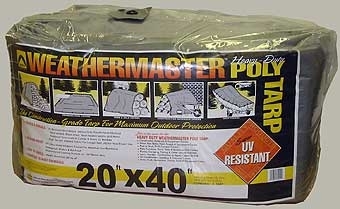 The silver side of the tarp reflects the sun&#39;s harmful rays. 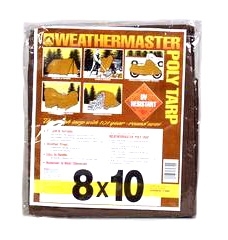 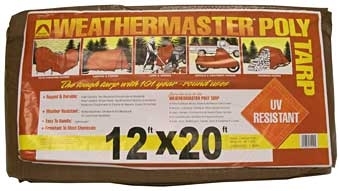 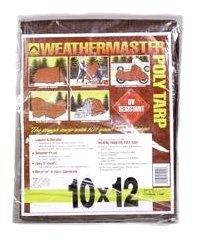 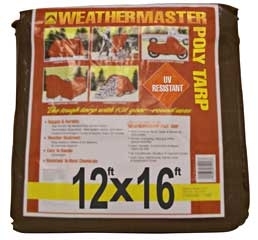 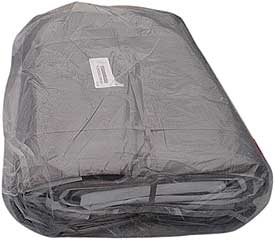 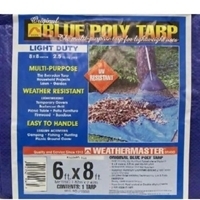 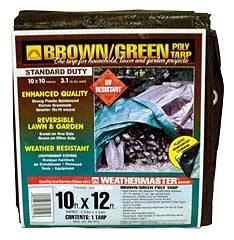 Tarp has 18 inch grommet spacing and black reinforced corner patches.